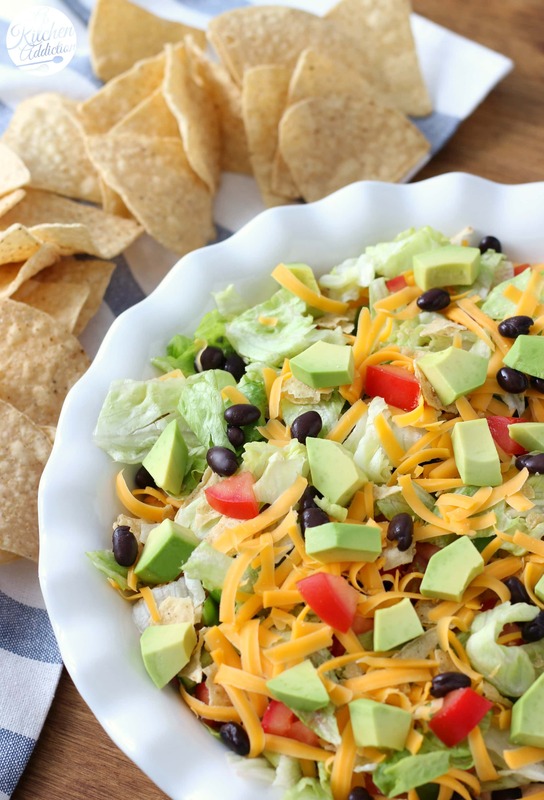 This Lightened Up Ranch Taco Dip is layered with flavor! 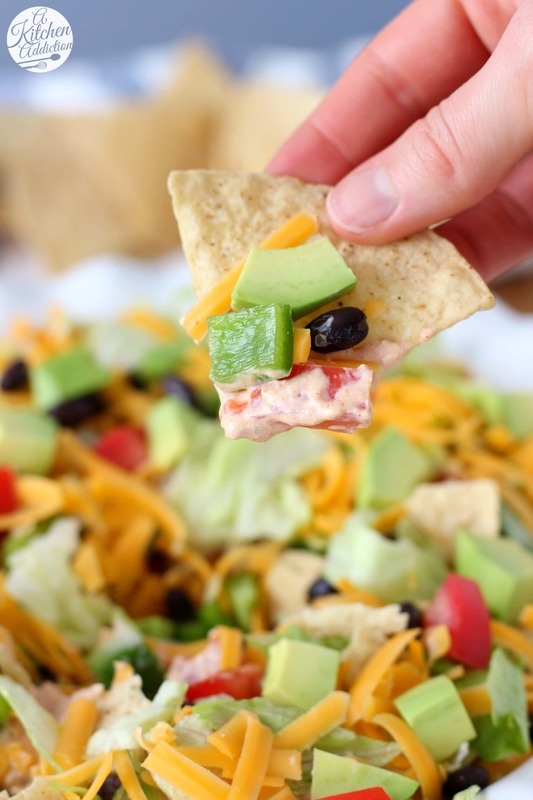 A creamy ranch salsa layer is topped with lots of fresh veggies and a sprinkle of crunchy tortilla chips! Serve it alongside your favorite chips for an irresistible snack! It’s that time of year again. Football non-stop. Which means snacks non-stop. And if your teams are no longer in the playoffs, then game day really is all about the snacks! Since game day food tends to be on the heavy side, why not switch up a favorite and make one of your snacks a bit healthier. That’s what we did with this lightened up ranch taco dip. 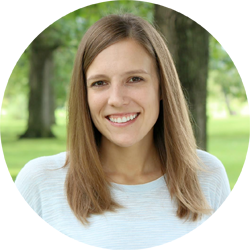 This taco dip doesn’t contain the heavy sour cream, refried beans, and loads of cheese that other taco dips contain. But don’t worry, there’s still loads of flavor. The creamy base of this dip is a combination of reduced fat cream cheese and Sabra’s Farmer’s Ranch Greek Yogurt Dip. The yogurt dip adds a burst of flavor without going overboard in fat and calories, and the cream cheese adds a richness that you expect from a traditional taco dip. Salsa, black beans, tomatoes, peppers, a smattering of diced avocado, and a bit of cheese (because you just have to have cheese!) 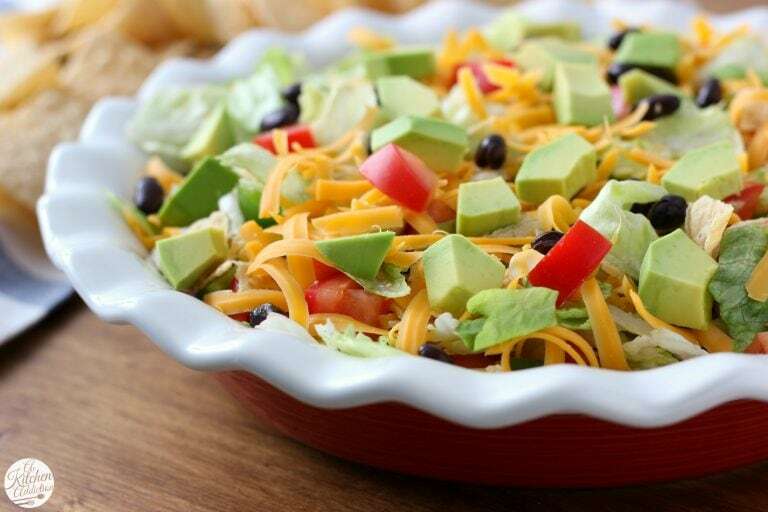 add the flavors that you love in a taco dip. Serve it alongside your favorite tortilla chips, and you have an irresistible snack that will be a hit at your next game day party! Love chips and dip? If you buy 2 Sabra® products (8 oz. or larger) and 2 bags of Stacy’s®Pita Chips (6.7 oz. or larger) together before 2/15/216, you can score a $5 gift card! You can find out more about Sabra’s Buy, Snap, Score promotion here. Mix with a blender, or by hand, cream cheese, dip, salsa, and taco seasoning until well combined. 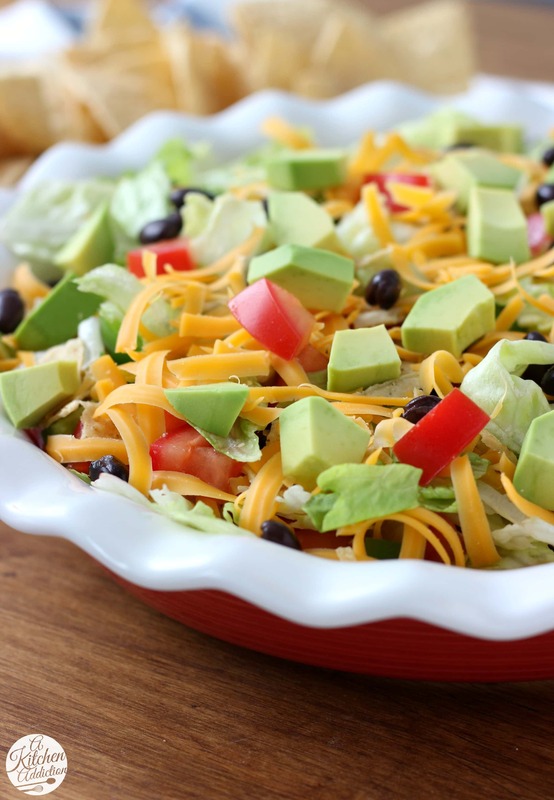 Garnish with cheese, avocado, and tortilla chips right before serving. I LOVE taco dip, always have, probably because it’s full of fat and deliciousness but I am loving this lighter version! I bet it tastes just the same!I will have to try this for game day! Dear Jessica, I love this kind of dip! It looks so flavorful and would be perfect on game day or for parties. Or when we’re snowed in. Which may happen this weekend! This dip is fantastic! I love that it is a lightened up version. So great for game day!! Just pass me a spoon—this looks AMAZING!! Love this lighter option for game day snacking! When I watch football, it’s always about the food :). Looks yummy and healthy! While I like football enough, it’s definitely all about the food for me! This dip looks awesome!! dip non-stop — oh yes!!! The food is definitely my favorite part about game day! Love that this dip is lightened up! It would be gone in no time at our house! Mmm I could dive head first into this dip! Love that it’s lightened up and packed with so much flavor! Yum yum yum! This sounds amazing! Adding this to my Super Bowl menu! We love taco dip here! And I love that this one is lightened up…means I can eat more, right? A lightened up version of my fave? Yes please!! Oh my goodness, so many layers of deliciousness! 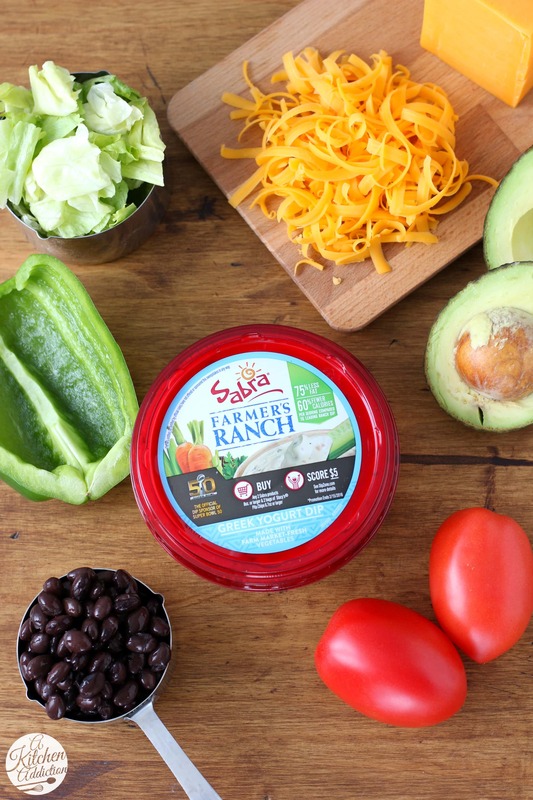 I need to try that sabra ranch dip soon! With the black beans, and tomato, cheese, avocado and more! !